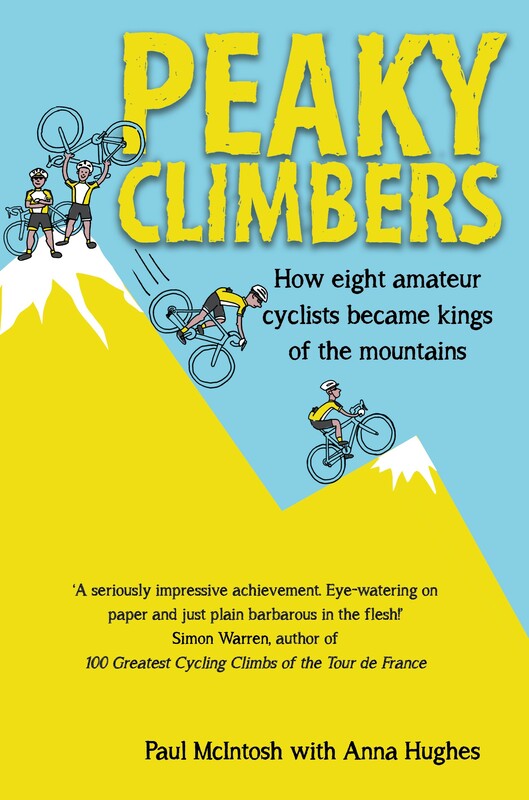 Eight friends take on the greatest challenge of their lives, to cycle 20 peaks of the Tour de France in seven days. Their adventure will take them beyond what any of them expected, through epic highs, dramatic lows, unforgettable scenery and the toughest days of cycling any of them have ever encountered. But will they make it to the finish line? 100% of all profits go to the Caring Cancer Trust and British Lung Foundation charities. The plans started way back in early 2016 and our adventure gave us the experience of a lifetime. 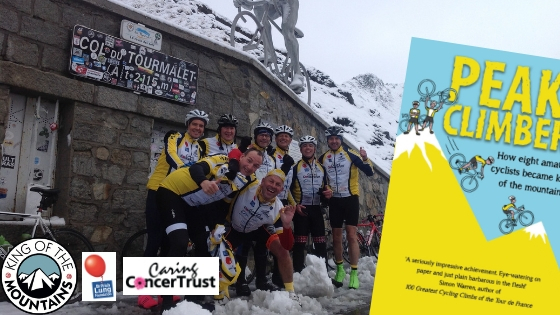 We hoped to raise £30,000 for the Caring Cancer Trust and British Lung Foundation charities. We have currently raised over £58,000 and are striving to hit £60,000 by Christmas 2018. 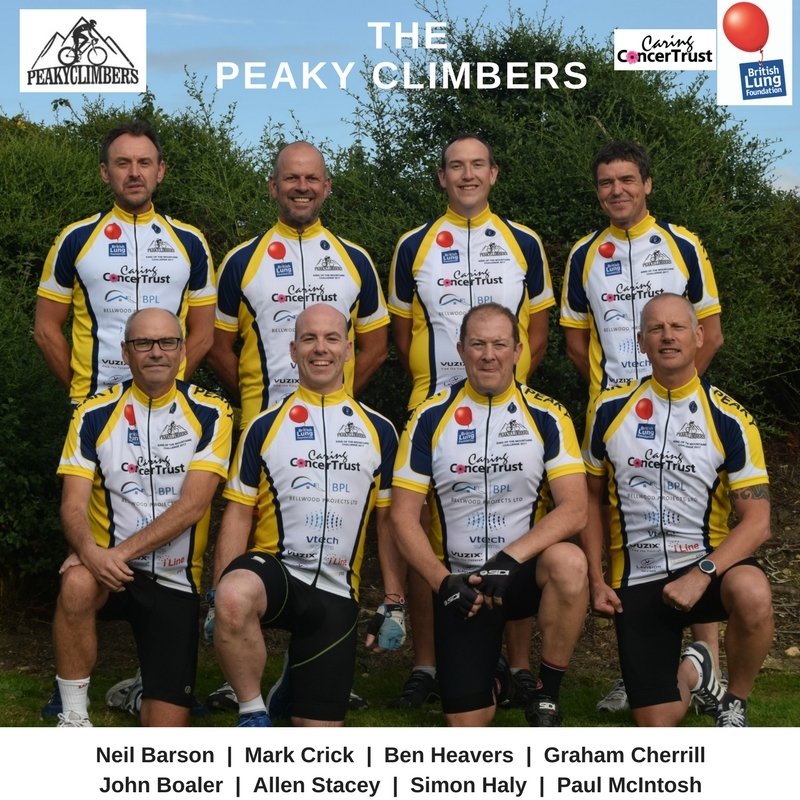 Eight mates agreed to take on the greatest challenge of our lives, to cycle 20 peaks of the Tour de France in seven days. 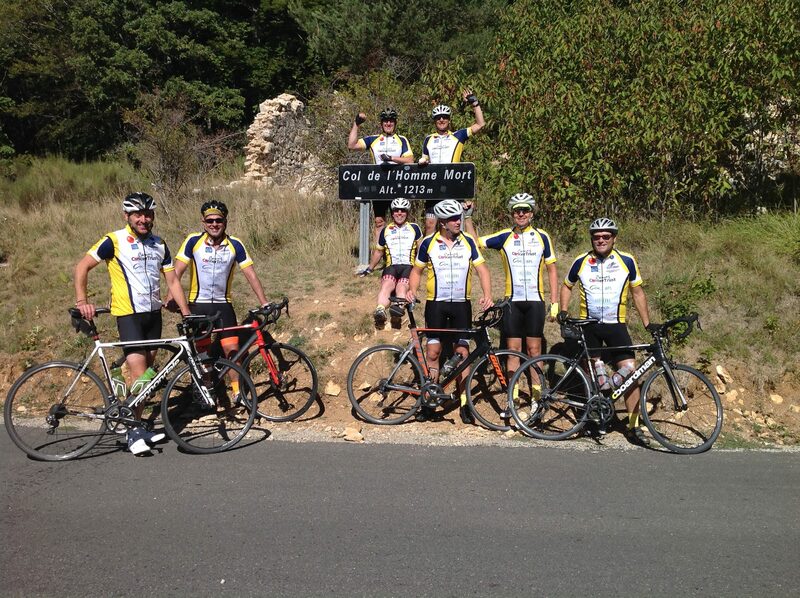 All the ones you know and love such as the Tourmalet, Alp D’Huez and even managing to join the exclusive CINGLES club by cycling Mount Ventoux 3 times in 1 day, on day 4! 6 x different hotels over the 7 days. Packing up every morning to head out for a full days challenging riding, a new hotel…unpacking, stretching, showering, dinner and then…wonderful sleep before a 7am alarm woke us up! 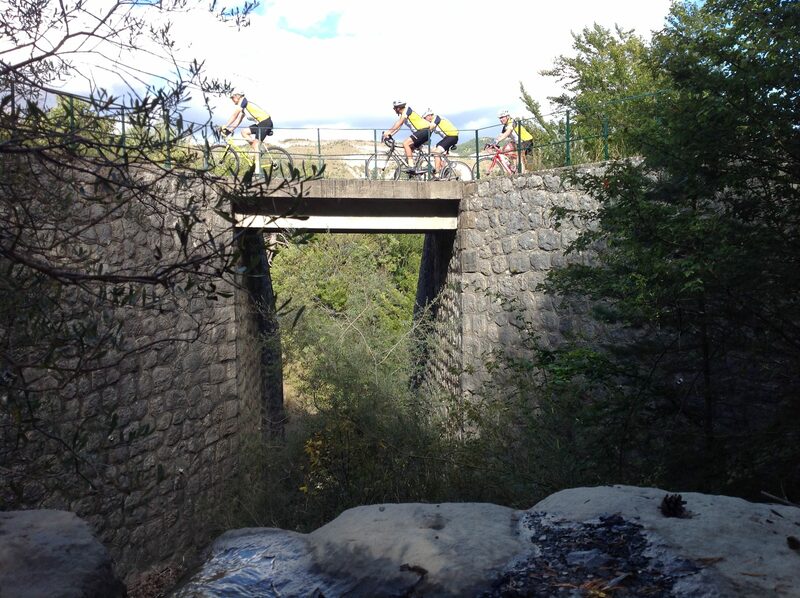 Our wonderful guides, Peter and Jack from Le Domestique were life savers. 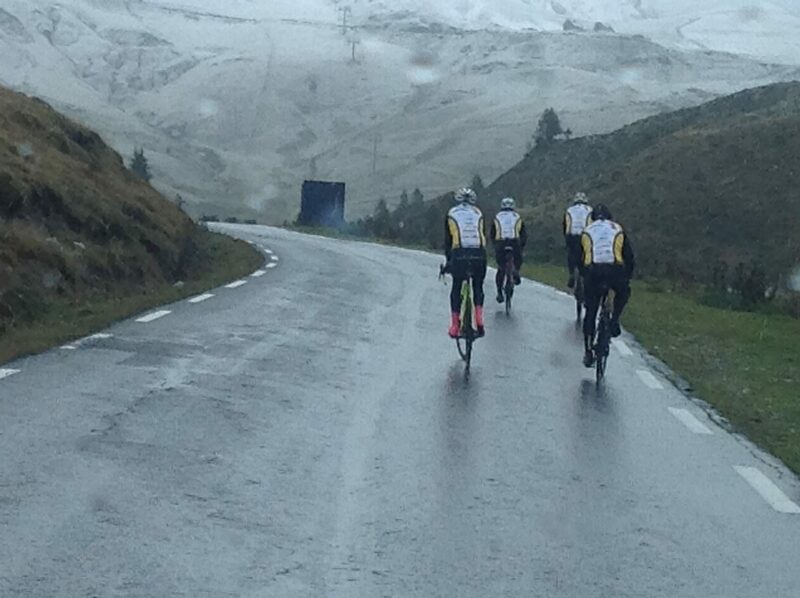 We had atrocious weather: snow, rain, hail, wind, rain, a little sunshine, gales, rain – incredible! Buy the book. 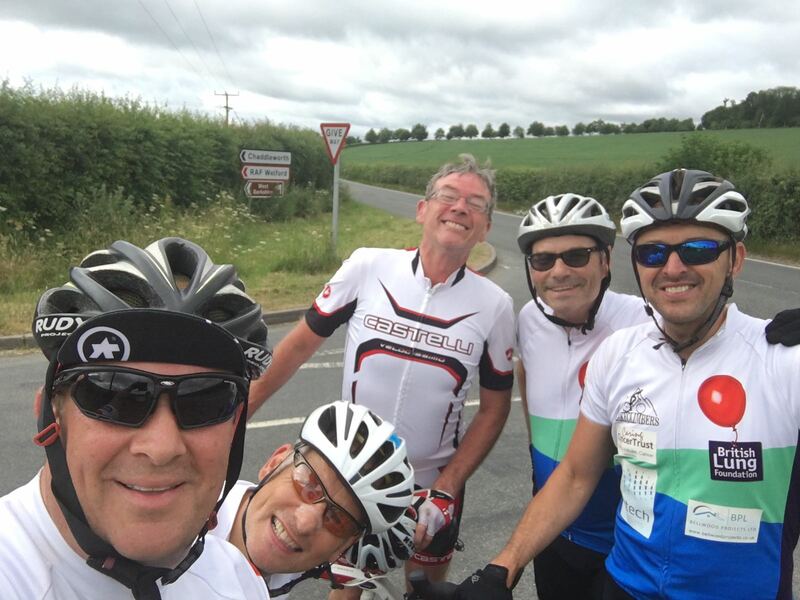 Smile as you read it, it’s all for a great cause and will hopefully inspire you to get up, get out and start riding, walking or running…anything to get outside and enjoy the fresh air!